I had a busy week at work this week. It started with 2 days out of the office helping to run the Managers Meeting and then finished with a few days of catching up with email requests. So I was really looking forward to doing nothing this weekend. Baking helps me relax. I find it peaceful in the kitchen – looking out over the village while I bake. So this morning I decided to use up the apples from last week and I had a tray of blueberries given to me that I wanted to incorporate into anything I made this week. 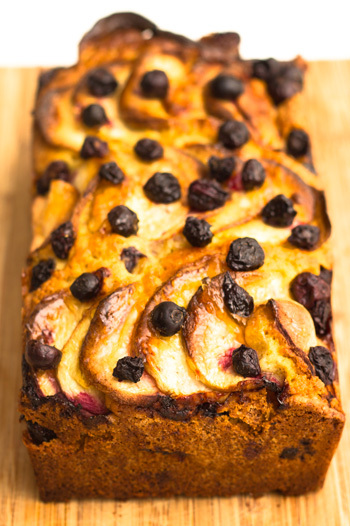 An apple and blueberry loaf sounded perfect. This recipe is from the Primrose Bakery book. It’s a lovely recipe but it didn’t go as well as I would have liked. My problem was with the baking time. I know my oven pretty well now and I don’t usually have any problems with over baking. But for some reason this loaf cake was still wet after an hour in the oven, yet the top was burning. I covered the cake with greaseproof paper after the hour it said to cook it for and then cooked it at 10 minute intervals for another 20-25 minutes. Once out of the oven the middle of the cake was cooked beautifully yet the crusts were over cooked. If I tried this loaf again I would turn the temperature down by about 10ºC and keep a closer eye on it. I also scrimped on the apple inside the cake. The recipe says to use 2 apples and I would recommend that you use all of the slices. Pile them up in the middle of the cake leaving just enough for the top layer. 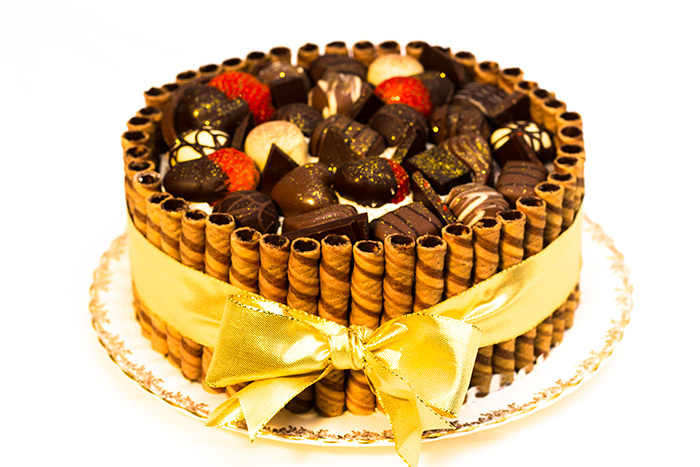 The middle layer brings a lovely juicy element to the cake – mine definitely could have done with a few more slices!